These restaurants have 'em fresh all-year round! (SPOT.ph) Living on an archipelago has a lot of perks—you've got beautiful beaches, over 7,000 islands to explore, plus an abundance of seafood all-year round. That's why there's no shortage of excellent places for seafood in the Metro—besides getting the freshest catch, you also get to try a lot of dishes that put the spotlight on this precious ocean-dwelling protein, whether it's fish, crustaceans, mussels, squid, or what have you. You just need to know where to find it! 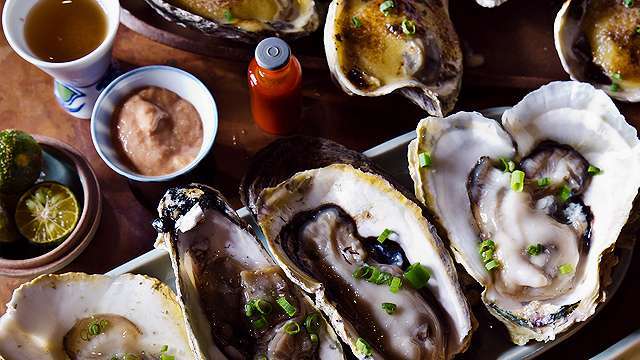 Who would’ve thought you’d find a little oyster bar in Poblacion? Pass by the more popular food and drink spots and your feet would eventually lead you to this hidden gem called Wantusawa. 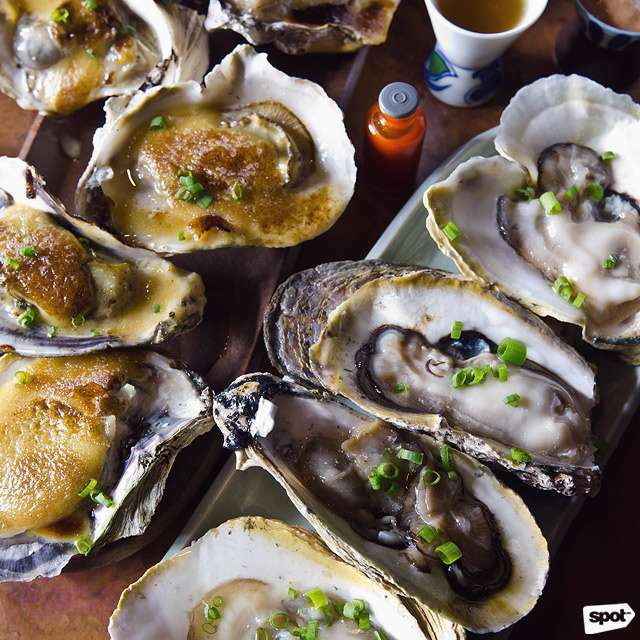 At this 16-seater restaurant, you can get your oyster fix, which are freshly harvested and flown in daily from Aklan. Have it fresh, baked, or grilled (P50/piece) and enjoy its bold and briny flavor as is, or with a dash of hot sauce, cocktail sauce, or vinegar for that extra oomph. Don’t forget a cold bottle of beer. If you’re crazy for crustaceans (like all of us), then you’re in the right place. The Red Crab has an extensive seafood lineup that ranges from starters to soups, as well as entrées. 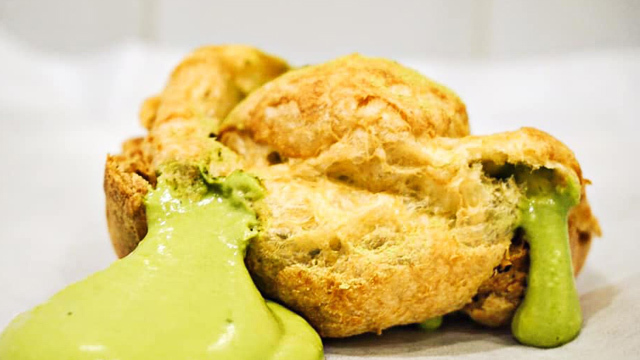 You’ll find Filipino-inspired dishes here, like the Oyster & Malunggay Rockefeller (P398), a good appetizer if you like cheesy baked oysters. This one has creamy malunggay pesto sauce and loads of cheese. You can also head straight to the main attraction: Crabs (P265/100g), which lets you choose from 14 mouthwatering flavors including Crab Kare-Kare, Salted Egg Crab, and Butter Ginger Crab. 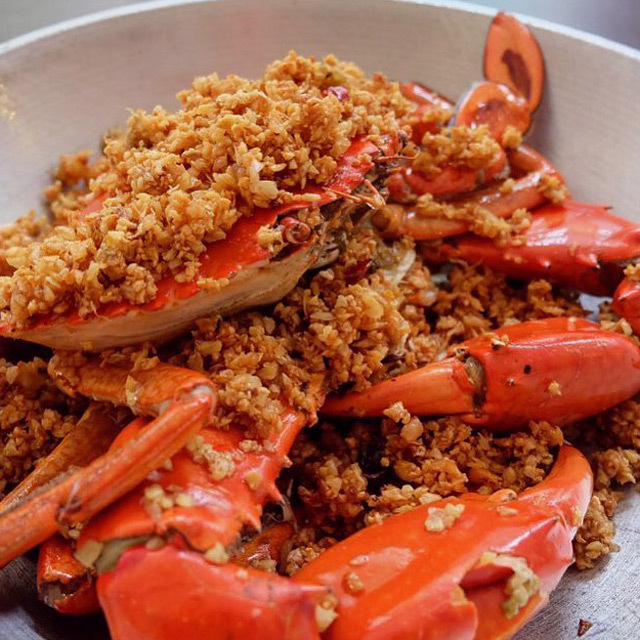 The Red Crab has branches at Greenbelt 3, Ayala Center, Makati City; G/F Eastwood Mall, Libis, Quezon City; 6/F East Wing, Shangri-La Plaza, Ortigas, Mandaluyong City; 4/F Resorts World Manila, Newport City, Pasay City; and 104 JSB Building, Tomas Morato Avenue corner Scout Delgado, Tomas Morato, Quezon City. There’s no better way to eat seafood than with your bare hands, so be prepared to do just that at Shrimp Bucket. You’ll get your own set of gloves and bibs when you order a bag of Shrimps (P600/per pound), Mussels (P385/per pound), or Crabs (P220/per 100g) but it's always more fun to get your hands dirty. Choose from any of their signature sauces to make your preferred seafood a lot tastier. A popular choice is the Salty Eggsperience, especially for those who are still not over the salted-egg trend. Other sauce options include Frenchy Lemon Pepper, Coco-Curry, and Salt and Pepper. See a list of Shrimp Bucket branches. 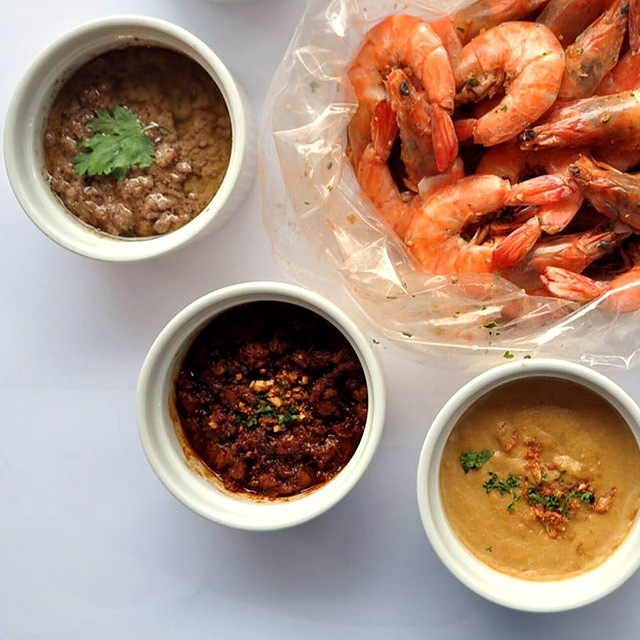 Davao-born concept Blue Posts Boiling Crabs & Shrimps has a pretty straightforward seafood menu of Crabs (market price), Shrimps (P573), and Mussels (P589). Once you’ve chosen a protein, they let you choose your preferred cooking style and spice level. 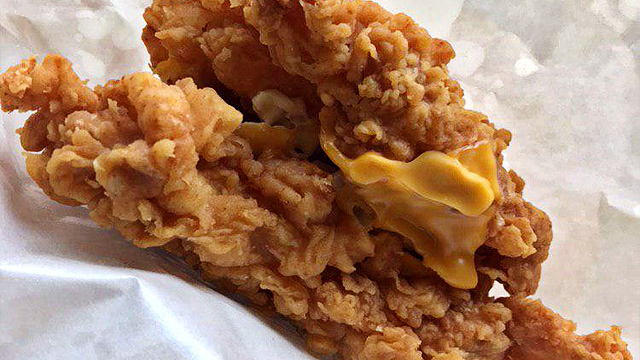 A classic choice is the Blue Posts Boil, which features their signature Cajun sauce. Something new is the zesty Garlic Lemon Butter Sauce, which goes well with practically any kind of seafood. 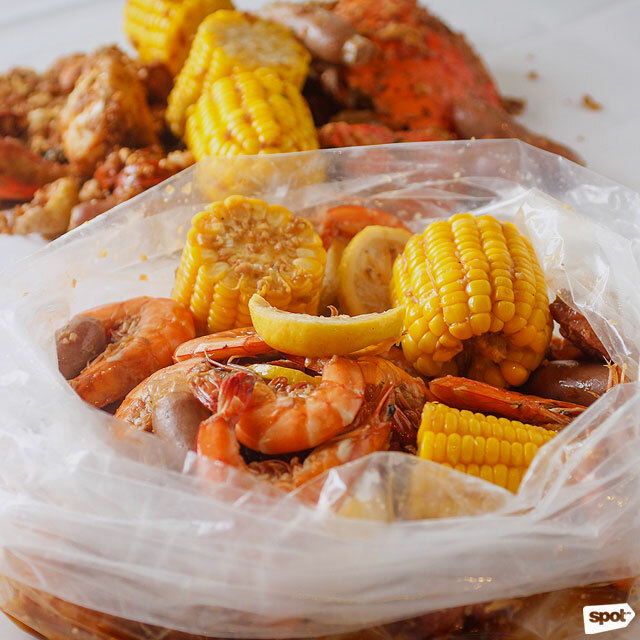 Pro tip: Their flavored seafood options are best paired with Corn on the Cob (P45) and Potatoes (P45)! Blue Posts Boiling Crabs & Shrimps has branches at 4/F The Block, SM City North EDSA, Quezon City; O Square Greenhills, Greenhills, San Juan City; Seascape Village, Atang dela Rama Street, CCP Complex, Pasay City; and G/F Entertainment Mall, SM Mall of Asia, Pasay City. Isla Sugbu Seafood City’s Paluto-All-You-Can (P888) has to be one of the best seafood deals in the Metro. Thank the homegrown brand from Cebu for bringing this seafood restaurant to town—you won’t only enjoy their fresh seafood, you get to eat all you can, too! Choose from a wide selection of fish, crustaceans (crabs, shrimps, sea mantis, and lobsters), squid, octopus, and scallops. You might feel overwhelmed with all the choices, but they’ve got a list of cooking suggestions to make your dining experience easier. We recommend you try the Baked Scallops With Cheese, Butter, and Garlic for a classic meal, and the Sizzling Coco Curry Octopus for something out-of-the-box. Isla Sugbu Seafood City is at 2/F Venice Grand Canal Mall, McKinley Hill, Taguig City. Golden Fortune is the type of place where you can hold special celebrations and dine with a big group. Have your Chinese favorites here, like roasts and soups, as well as unusual dishes, such as frog and ostrich meat, if you’re up for an adventure. Dare to try the abalone and sea cucumber, or better yet, stick to tried-and-tested seafood dishes like the Deep-Fried Oyster in XO Sauce (P380) or the Sautéed Fresh Scallops with Seasonal Vegetables (P380). Golden Fortune has branches at G/F Peace Hotel, 1283 Soler Street, Binondo, Manila City; 678 T.M. Kalaw Avenue, Ermita, Manila City; and Seascape Village, Atang dela Rama Street, CCP Complex, Pasay City. Those living south of the Metro would be happy to know that there’s no need to drive all the way to the seaside to get dampa-style cuisine. The Boiling Seafood will satisfy your hankerings for Crab (P230/100g), Mussels (P350/400g), Shrimps (P645/350g), and Clams (P350/400g). Take your pick from their flavor-loaded sauces: Butter Garlic, Cajun, Crab Fat, Coconut Curry, or Sweet Chili Garlic. You can also choose how spicy you want your food to be, from Tame, Mild, to Wild. Don’t be shy about eating with your hands here—everyone’s doing it! The Boiling Seafood is at Corte de Las Palmas, Alabang Town Center, Alabang, Muntinlupa City. 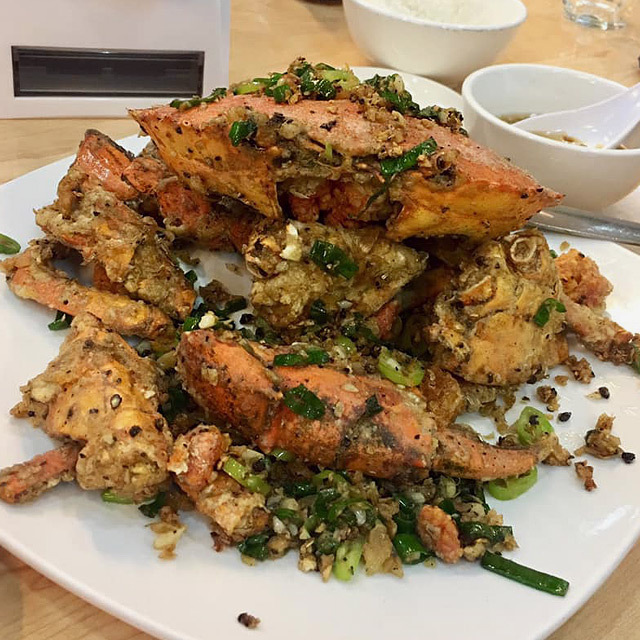 King Crab House is an unassuming, no-frills Chinese restaurant just off Wilson Street. Since they put the spotlight on their prized crustacean—the king crab—you shouldn’t leave without trying the King Crab Rice in Pot (seasonal), a glorious hot dish that's made richer with crab fat. Foodies would be happy to know that classic seafood dishes like Oyster Cake (P260), Sweet and Sour Lapu-Lapu (P720), and Hot Prawns Salad (P370) are available on the menu, too. 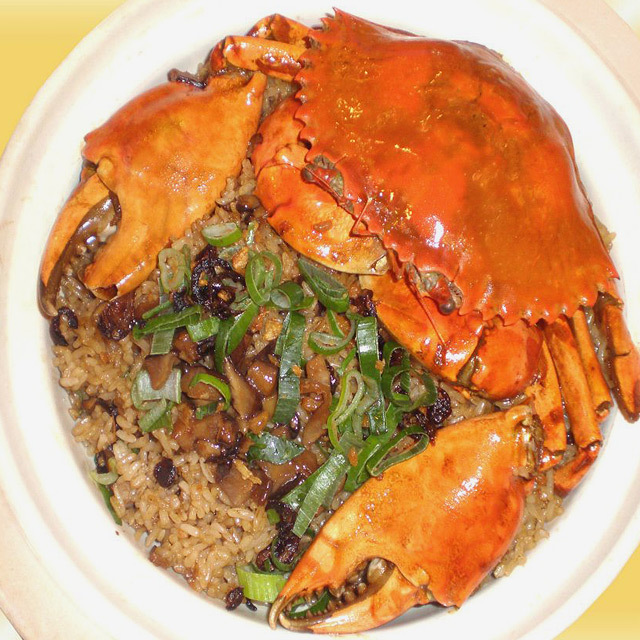 King Crab House has branches at P. Guevarra Street, Little Baguio, San Juan City; and 411 N.S. Amoranto Street corner D. Tuazon Street, Banawe, Quezon City. Originally a fishing and retail business, Cold Storage has expanded their brand offerings and set up a food stall at The Podium’s The Corner Market. The place is a great spot for solo diners looking for a quick seafood fix. Catch of the Day has a good selection of rice meals that includes a side of veggies and your choice of protein. Something you should try is the Grilled Unagi (P440), served with rice and drizzled with sweet and savory teriyaki sauce. You can even have your favorite seafood cooked to order—boneless bangus, tanigue, yellowtail fish, shrimp, or real Maine lobsters. Catch of the Day by Cold Storage is at The Corner Market, 2/F The Podium, ADB Avenue, Ortigas, Mandaluyong City. America’s famous seafood chain, Red Lobster, has finally arrived on our shores, bringing their best-selling Maine lobster to Manila. 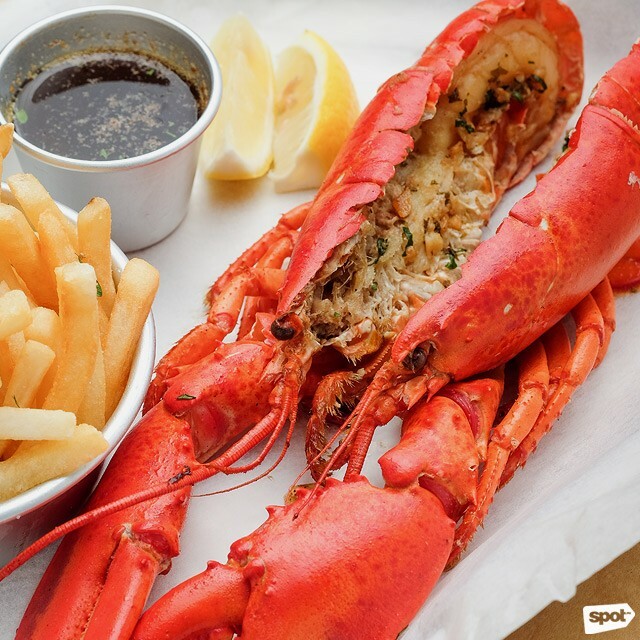 Caught wild from the Atlantic Ocean, the Live Lobster (P1,500/pound) will amaze you with its naturally sweet and succulent meat. 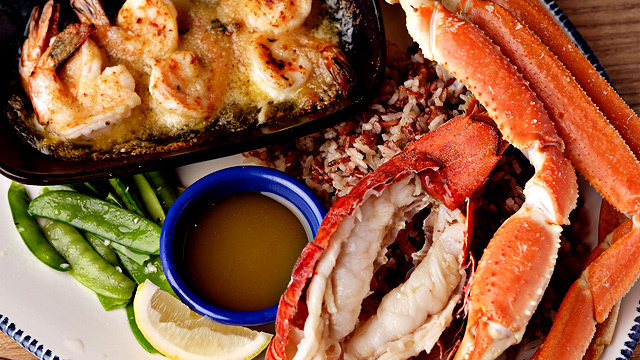 It's served steamed to highlight the lobster's real flavor. You can also choose two sides dishes to go with your seafood—white rice, wild rice, mashed potato, or French fries. For an authentic Maine experience, you might also want to try their New England Clam Chowder (P220)—creamy, savory, and very filling. 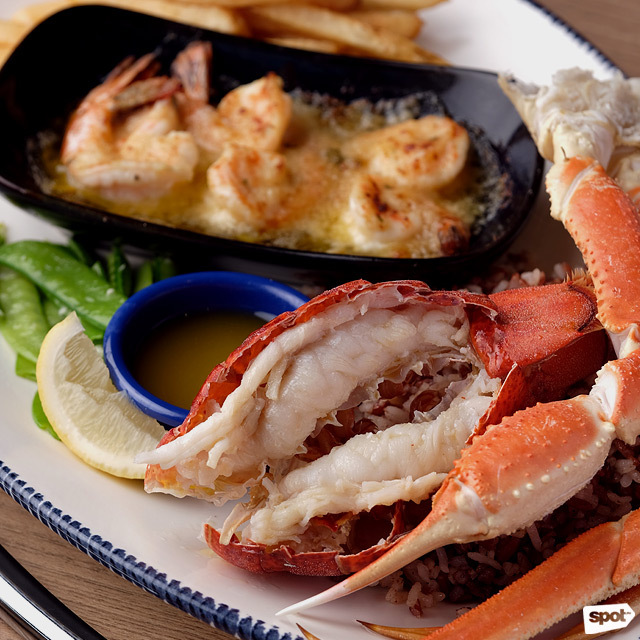 Red Lobster is at Level 1 S Maison, Conrad Manila, Seaside Boulevard corner Coral Way, Mall of Asia Complex, Pasay City.